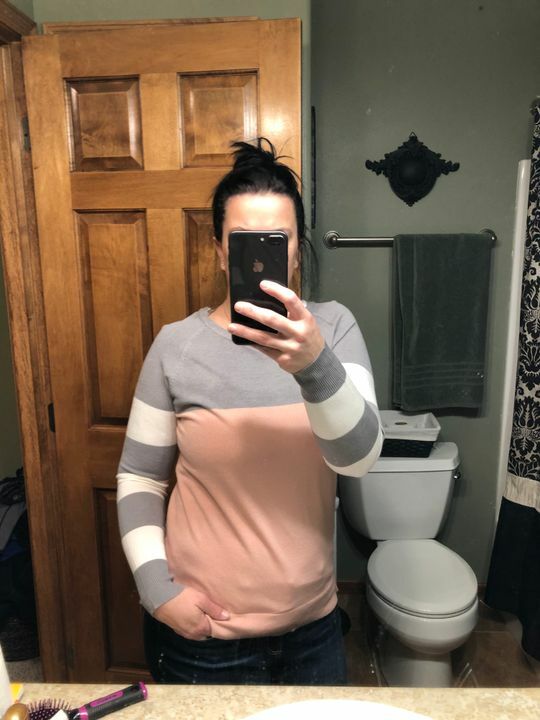 We're loving this long sleeve color block top that features a solid pink and grey body with striped sleeves! I absolutely love this top! It is definitely a go to top when its chilly out. Perfect colorblock. Lightweight. Great transition spring piece. I love a great sweater I can wear to work! Danielle G. Reviewed by Danielle G.